A few months ago, a truly impressive project developed by one of our Xtra clients (Blueburst Ltd.) came across my desk. The project, which uses INM's Impressario and V12 Database Engine (along with several other third-party Xtras) caught my eye as it was unlike any projects I have seen in my three years at INM. It was not just the elaborate features the project contained, but the whole business case behind it and its overall professionalism which really impressed me. I knew the project deserved more than just a mention in our gallery, which is why, with the help of Ben Francis of Blueburst Ltd., I decided to create a case study which could be shared with the Director community. The following article outlines the project and some of its main challenges and features. 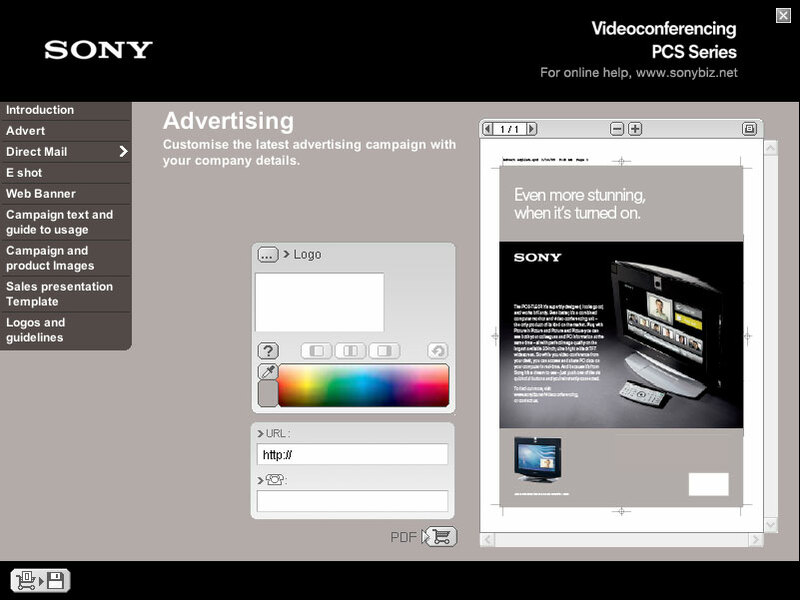 Using Macromedia's Director, Dreamweaver and Flash products, Blueburst Ltd. has developed a brand-controlled, easy-to-use Communications Toolkit CD for Sony's channel partners to market the Sony Videoconferencing PCS Series of products. With its strong focus on channel marketing, Sony wanted to streamline its method of distributing product-specific marketing collateral to its resellers and distributors ("channel partners") in order to reach a higher level of brand management and consistency. Sony then commissioned Blueburst Ltd. to develop a system of brand-controlled, amendable artwork. 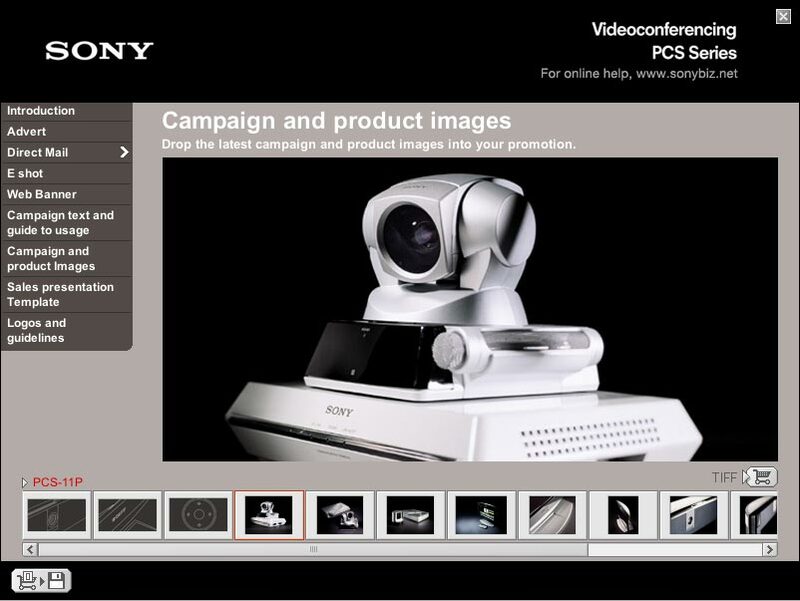 The result is a complete Communications Toolkit CD that provides all the vital marketing materials required by channel partners to sell the Sony PCS Series Videoconferencing systems. Channel partners can now easily access product-related image and text galleries, and customize such marketing collateral as direct mail, web banners, advertising and PowerPoint presentations with their own logo and contact information. 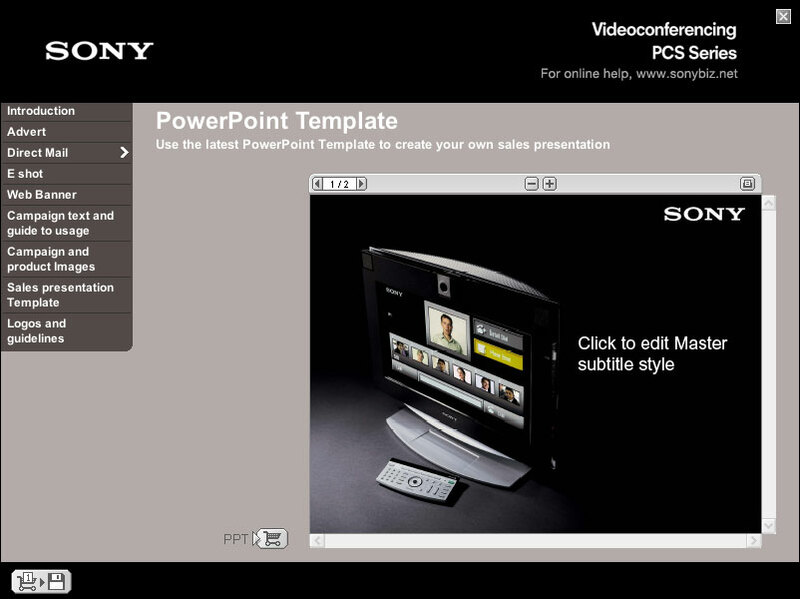 Project includes SONY branded PowerPoint Templates. Project also includes a high-resolution image bank. Prior to the design of the new Communications Toolkit, Sony had originally provided open artwork files on CD to its channel partners but found that this led to branding inconsistency and misrepresentation. Sony needed a way to control its brand and marketing message when supplying channel partners with customizable artwork for their own promotional campaigns. Sony's previous Communications Toolkit provided downloadable source files for Sony's product artwork, such as layout files, fonts and images. This meant that channel partners had to have the proper software capabilities (usually in the form of high-end, expensive graphic design tools like QuarkXpress and Adobe Photoshop) and platforms to open and manipulate these source files, as well as take the time to incorporate them into their own collateral. This system was awkward and open to branding errors. To create the new toolkit, Blueburst Ltd. used Macromedia Director for the application, Macromedia Dreamweaver to create downloadable and customizable HTML eShot templates and Macromedia Flash Pro MX to create downloadable Flash advertising banners. Blueburst Ltd. also took advantage of Macromedia Director's extensible plug-in architecture and incorporated several third-party Xtras, such as two from Direct Xtras: DirectImage for importing and manipulating custom logos and DirectFTP for uploading of user logos for use with eShots. And Integration New Media's Impressario Xtra for displaying, printing, customizing and saving PDF press-ready documents. The greatest technical challenge faced by Blueburst Ltd. was how to introduce a system for replacing images within PDF documents. At the time, INM's Impressario Xtra did not offer this feature, so Blueburst collaborated with INM's Consulting Services to have this additional functionality developed for the Xtra. INM has since incorporated this feature into the latest version (version 2) of the Impressario Xtra. With this additional functionality, Blueburst was able to continue using the press-ready capabilities of PDF documents and the consistency in their delivery for the marketing material, while allowing channel partners the ability to easily incorporate their own logos and contact details into the files. Import own logo and insert contact details into press ready PDFs. The second biggest challenge was how to deal with the large amounts of language data required for the new toolkit. 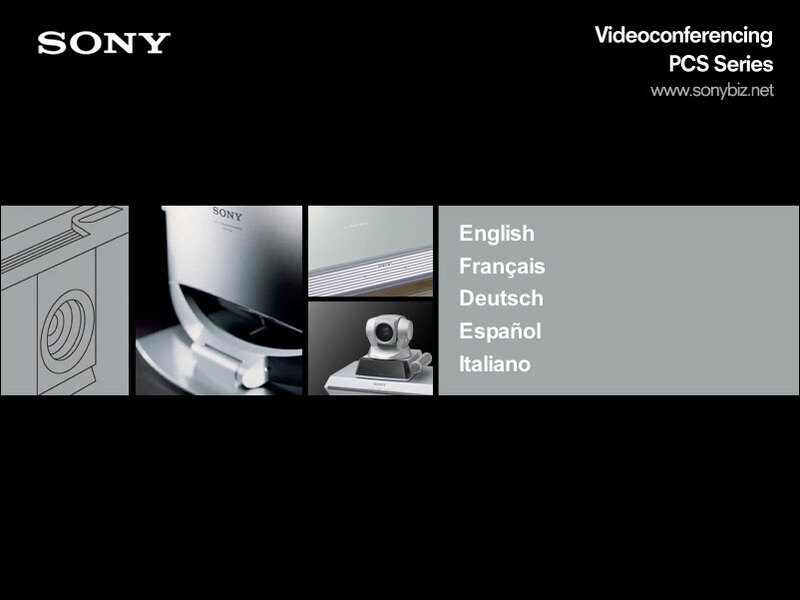 Sony wanted five language options included: English, French, German, Spanish and Italian. Initially, Blueburst Ltd. handled all interface text through the use of Lingo-based script lists (for example: errortext = #english: "error", #french: "erreur", #german: "Stšrung"), using the global language variable set at the "startMovie" script to pick the language to be displayed from the property list. This was fine for minimal translations but the toolkit contained approximately 100 system messages and navigational items that needed translation into four other languages. To overcome this challenge, Blueburst Ltd. purchased INM's V12 Database Engine Xtra for the collection and processing of the necessary multi-language messaging. The engine was used to hold all language system messages and path names in a central, easy-to-manage file. Using an organized database system meant easy management of data retrieval, updates, deletions and additions. Multilingual capabilities were facilitated by using an organized database system. Blueburst Ltd.'s PDF solution allows Sony to provide its channel marketing partners with intuitive, easy-to-use, customizable communications tools, which in turn encourages channel partners to effectively cross-brand and ultimately sell more products. Sony benefits by ensuring its branding is well-managed and its marketing messages remain consistent, while the channel partner benefits from not having to use costly and cumbersome professional graphics packages to develop co-marketing materials for its Sony products. Kristen Banham, Marketing Manager, Integration New Media, was first introduced to the Director scene when she joined Integration New Media 3 years ago. Today she can speak the “lingo” but has yet to program it! Her previous work experience includes several years in high-tech Marketing for Matrox Electronic Systems as well as freelancing as a Graphic Designer. Most of her free time in Montreal is spent chasing some form of ball around (soccer, tennis, ball hockey…) reading and at the moment…unpacking (just moved! ).